In the plaza of the California Baptist University Events Center is a bronze plaque placed in memory of the Riverside Free Methodist Church that formerly occupied the Events Center site. The plaque gives a very brief history of the church, from its founding at a tent meeting in downtown Riverside in 1907, through its present location at California Avenue and Adams Street, where it has adopted a new name, California Avenue Christian Fellowship. Below the plaque is a web site link that directs those interested in more details about the history of the church to this expanded summary history. The Free Methodist Church denomination was founded by Benjamin Titus Roberts in 1860 in Pekin, New York. Members of the denomination had previously been associated with what was then known as the Methodist Episcopal Church. The split occurred as a result of differences in beliefs over church doctrine. The new denomination adopted the word "Free" due to its antislavery stance and because seats in the churches were to be free to all rather than sold or rented as was a common practice of the Methodist Episcopal Church. The new denomination also preferred a more free form of church services in contrast to the more formal services common at that time. 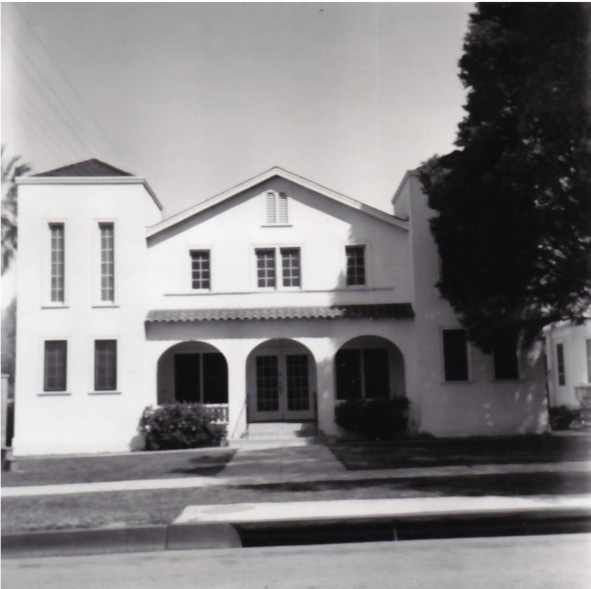 Riverside’s Free Methodist Church (RFMC) was begun on October 20, 1907 at a tent meeting in downtown Riverside. Shortly thereafter, the fledgling congregation secured the use of a new permanent home in a tiny church owned by the Seventh Day Baptists. The first service at the new location was preached by Reverend W.C. Graves on December 19, 1907. The Riverside Daily Press announced that services would be conducted every night except Saturday. The notice also indicated that on Sundays, two services would be held, one in the morning and one in the evening. On May 23, 1908, the church incorporated and elected five trustees, and on March 30, 1910 the growing congregation recieved title to the Sixth Street church. 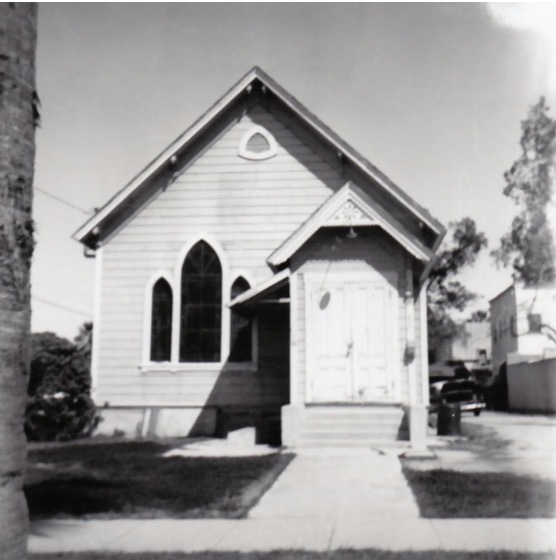 This church building survives to this day at 2921 Sixth Street in Riverside’s Eastside neighborhood and is a designated City of Riverside Cultural Resources Landmark. The congregation continued to worship there until 1924. The contractor was Victor E. Larson, builder of Free Methodist Churches in Ontario and Chino. Construction moved forward very quickly, with the first services occurring on December 13, 1925. Dedication of the church building occurred on December 20, 1925, with Bishop Walter Sellew leading the ceremonies. This church building remains to this day and is a designated City of Riverside historic building. About a month before moving into the new church, Reverend Lamson delivered a sermon on “measuring the church.” In his sermon, he drew upon Revelations 11:1-2 to make the point that a church is measured not by its physical dimensions, but by the quality and commitment of its leadership and congregation. Significant growth was experienced at the new church and contributions from the congregation allowed the ceremonial burning of the mortgage in 1947. In 1958, the burgeoning congregation began to explore the construction of a new church, making an early commitment to this endeavor by purchasing a lot at 2844 Jane Street on which to build a new parsonage. Raymond Flory was hired to design and build the parsonage, which was completed in November of that year. On November 3, 1960, the RFMC bought a 4.15-acre property at 8431 Diana Avenue for $29,000. About a year later, the church hired Riverside architect Dale Bragg to design a new church complex for the property. To help promote the funding of the new church, Mr. Bragg produced an elaborate rendering, depicting a sanctuary, fellowship hall, education building, and parsonage. While the first three components were eventually completed (at a much smaller scale than depicted on the rendering), the parsonage was never built. 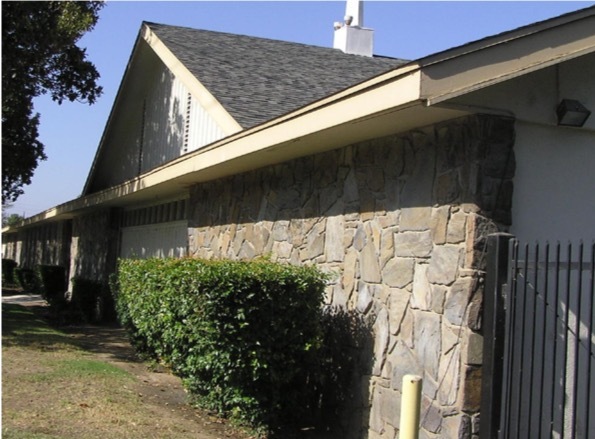 The City of Riverside issued a building permit for a sanctuary and fellowship hall on June 21, 1963. Local building contractor Harry Marsh assumed responsibility for church construction. To help fund construction, a loan for $91,000 was obtained from Sierra Savings and Loan Company of San Bernardino. Construction was completed in August of 1963 and a Final Inspection was completed on August 25, 1964. The new sanctuary was a stunning building with a graceful bellcast roof shape made possible by the custom production of “glulam” beams. The creation of these beams proved to be a complicated endeavor, resulting in significant delays in the completion of the church. According to the American Institute of Timber Construction, glulam beams are manufactured by bonding kiln-dried lumber with waterproof adhesives. Special bonding techniques allow individual lumber pieces to be joined end-to-end to form long laminations, then face-bonded to form deep timbers. The glulam process allows the creation of timbers in a variety of shapes and dimensions. These characteristics were used to great benefit in the design of the RFMC roof. 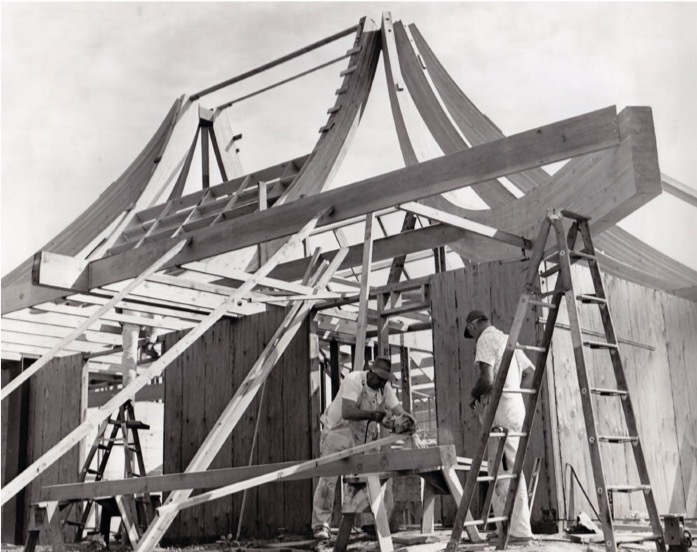 The structural members of this roof extended from eave to roof peak in a graceful arch. The glulam process produces structural members of extraordinary strength and stiffness, allowing long spans with less need for intermediate columns as would be typical of conventional lumber. This characteristic was used to advantage in the roof of the RFMC Sanctuary, as the entire interior space of the sanctuary was free of any vertical columns to support the roof. 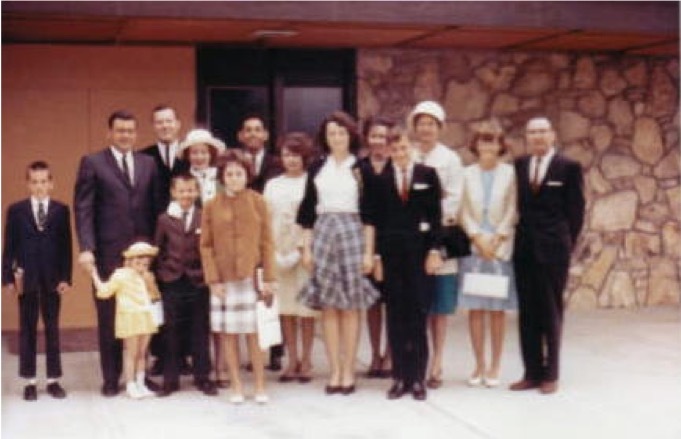 On Palm Sunday, March 22, 1964, the first services were held in the new Sanctuary. Dedication of the new sanctuary and fellowship hall took place on May 10, 1964, with over 300 people in attendance. The overall cost of this first stage of the church’s building program was pegged at $150,000. On January 5, 1969, the RFMC held a “Homecoming Day,” celebrating the 62-year history of the church. Several former church members sent written recollections of their histories with the church, which are included in the Church Register of the Free Methodist Church. Rev. Byron Lamson, the pastor responsible for the construction of RFMC’s Seventh Street church, took part in the services. In the fall of 1977, the congregation decided to build an education building. The Building Committee hired architect George Stoops to design the building, a 30-foot by 112-foot structure divided into children’s classrooms, a pre-school serving children through the 6th grade, and a youth room. Hefley Brothers Construction submitted the winning bid of $122,000 to erect the building. In an effort to help fund the new building, the church sold the north acre of the property, originally intended as the location of a parsonage, to California Baptist College for $10,000. An additional $10,000 was raised from the congregation and from a $115,000 loan from the Conference Revolving Loan Fund. The existing church mortgage of $23,000 was also paid off. A building permit was applied for in March of 1979, and a groundbreaking ceremony for the education building was held on September 23, 1979. Construction commenced in October of 1979, and completed on December 26, 1979. Pastor Ben C. Anibal led the Dedication Services on March 30, 1980. The education building was named in honor of Margaret H. Petcher, a congregation member who dedicated some 30 years to RFMC’s Children’s Department from 1940 to 1970. She was especially known for her piano playing and her beautifully visualized stories. On October 10, 1982, the RFMC celebrated its 75th anniversary. Among several people providing handwritten recollections of church history was Rev. Lamson, who recalled conducting pastoral visits via bicycle. A memorable and significant aspect of the anniversary celebration was a series of “skits” in which long-term church members talked about their memories of the City of Riverside and the RFMC. Dr. Lamson’s recollections were read by another church member, as he was unable to attend the services. On October 20, 2007, the RFMC celebrated its 100th Anniversary. The program for the anniversary services included a summary history of the RFMC and a “roster” of the 28 pastors who had served the church up to that point. Four “Centennial Events” were held, with a kick-off on September 30, a buffet luncheon on October 20, a brunch on October 21, and a worship service on October 21, 2007. During its entire history at the Diana Avenue property, the RFMC congregation watched as its neighbor grew from a small liberal arts college known as California Baptist College to a multidisciplinary educational institution known as California Baptist University. In 2012, the church’s leaders approached CBU about selling its property to the university and relocating to another site. In July 2014, CBU completed the purchase of the RFMC property and with CBU’s help, acquired a former Baptist church located at 8223 California Avenue. 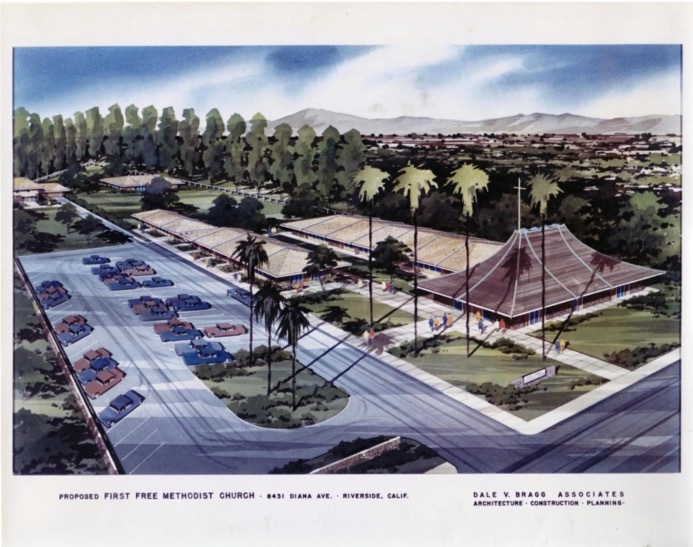 With the property ownership transfer completed, RFMC moved to the California Avenue church campus and CBU commenced with the demolition of the Diana Avenue church campus and the construction of its new Events Center.